I have fond memories of the energy and excitement in the theater upon Die Hard’s release and it has remained one of my favorite movies of all time. Although premiering on July 12th,1988, it’s the perfect Christmas themed movie which our family always ends up watching during the Holidays. 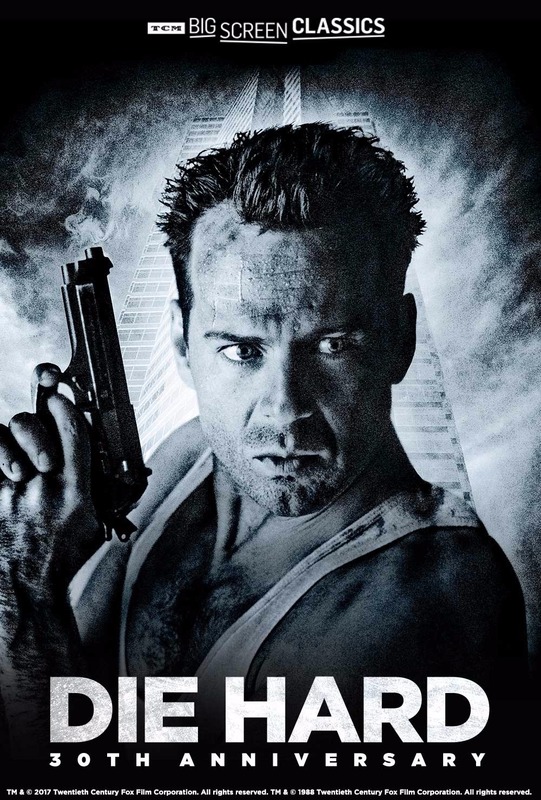 The plot of the story takes place on Christmas Eve with NYPD detective John McClane (Bruce Willis) arriving in Los Angeles, intending to reconcile with his estranged wife, Holly (Bonnie Bedelia), at the Christmas party of her employer, the Nakatomi Corporation. Let the games begin because McClane is a tough New York cop to his very core and is bound and determined to foil the terrorist takeover as captioned on the movie poster. This highly successful American action thriller was directed by John McTiernan and written by Steven E. de Souza and Jeb Stuart. It was produced by the Gordon Company and Silver Pictures and distributed by 20th Century Fox. I didn’t really care for the sequels, but I highly recommend checking out the original on the big screen at this 30th Anniversary screening. Find out where it’s showing in your area here.